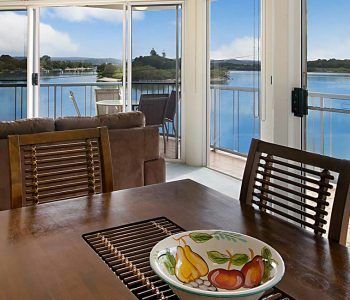 This riverfront holiday accommodation Maroochydore will have you at hello. 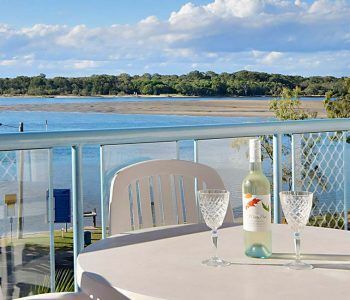 Reflections Holiday Apartments is a private oasis on the corner of Picnic Point and Maroochy River, and has one of the best locales whether you like fishing, swimming, sunbathing or picnicking beside the river. This is like scoring a double bonus Sunshine Coast holiday, which it is because the beach life is also very accessible from our Maroochydore location too. Whether you wish to visit the local Maroochydore Beach, or the one in Cotton Tree as both are within walking distance and surf patrolled. Actually the whole of the Sunshine Coast is your playground. Alexandra Headland is great for surfers, with some excellent surf schools run from Maroochydore and Mooloolaba. Anywhere from Coolum all the way up to Sunshine Beach present good opportunities for wave riding. Divers can explore the man made reef at HMAS Brisbane. Noosa is also great to visit, it’s just under an hour to drive, with Main Beach catching the title as the most popular family beach on the Sunshine Coast. With Hastings Street just up from the boardwalk, a trip to the beach in Noosa can quickly escalate to shopping, coffee, gelato and cocktails (mocktails for the kids) in very short order. Other daytrips include exploring the hinterland so you can get a real feel for the local produce, wineries and smallgoods producers. Quaint little villages like Maleny and Montville will charm you with their old fashioned refreshments, with many tea houses serving dinkum Devonshire Teas. Mooloolaba isn’t far away either. Catch a show at Sea Life Sunshine Coast with the kids and afterwards pop down to the local fish markets and pickup some of those juicy Mooloolaba prawns for the barbie. Australia Zoo in Beerwah needs no introduction at all and should also go on the ‘must do’ roster of things to do. It’s even harder say goodbye to this riverfront holiday accommodation Maroochydore. 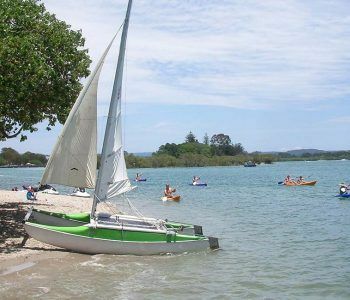 Reflections Holiday Apartments is a private oasis on the corner of Picnic Point and Maroochy River that you will love. Book now!